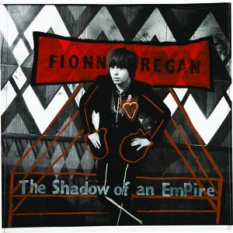 Fionn Regan is an Irish singer-songwriter who hails from Bray, Co Wicklow and has been performing since 2002. Receiving warm response from the media and general public alike with the release of his Hotel Room EP in 2004, he later went on to release his critically-acclaimed debut album The End of History in 2006. 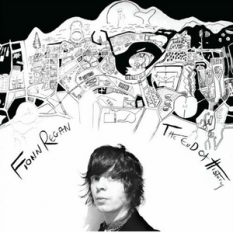 Citing his musical influences as Leadbelly, Howlin' Wolf, Bob Dylan, The Beatles, Neil Young, The Velvet Underground, Pixies and Nirvana, Regan has drawn comparisons to Young, Woody Guthrie and John Lennon. His live performances saw him support the likes of American Music Club, John Prine, Turin Brakes and rising newcomers Joanna Newsom and Willy Mason. Turin Brakes' Olly Knights has said that Regan's "ability to paint weighty and sublime imagery with words is untouchable and very rare, yet it's combined with a sweet charm that renders all cynicism impotent." Regan is known to have taken a DIY approach to recording sessions, using analogue equipment and recording in houses, a shed and a barn to try and capture a live sound. 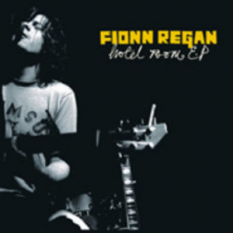 In February 2010, Regan released his sophomore effort, the more rock-influenced The Shadow Of An Empire. 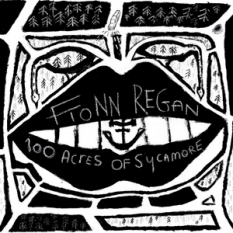 Fionn's third studio album 100 Acres of Sycamore was released in August, 2011, to a generally positive response. A lot of reviewers point out a return in terms of themes and style to his debut, with many comparing the tone and use of strings to Nick Drake. The title track of the album, can be downloaded for free at the website.